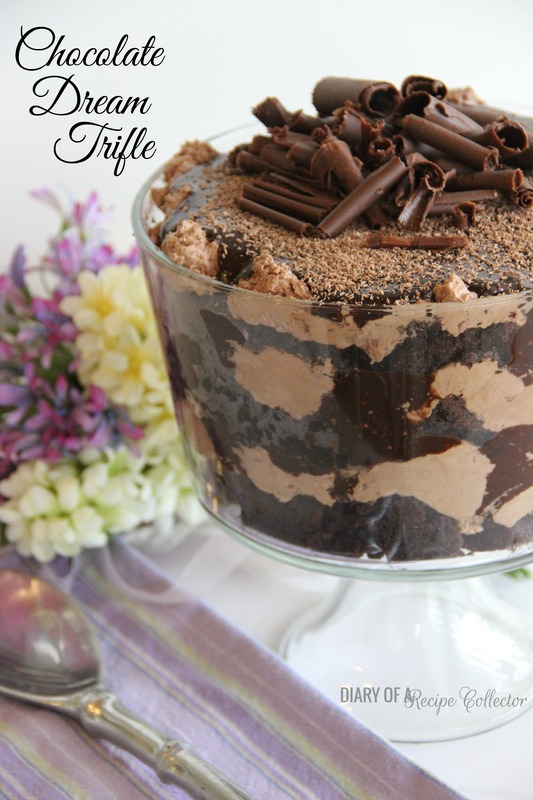 A fun Easter treat using the classic dirt pudding recipe makes a perfect dessert for your family this Easter. Hey everyone! So I know I need to explain my lack of posting lately. 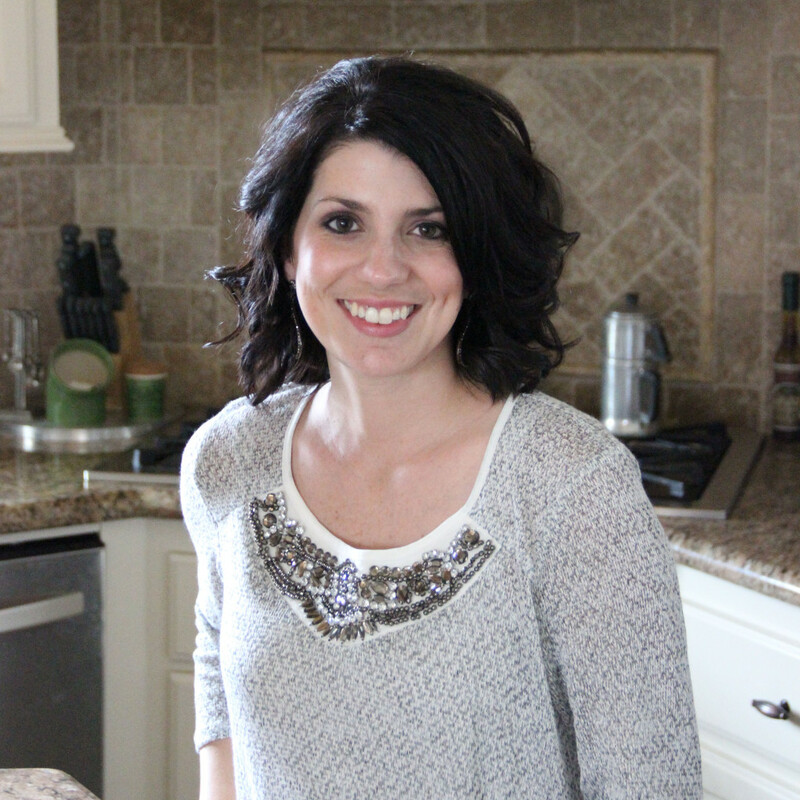 The truth is I have been CRAZY busy lately…like can’t catch up…spinning my wheels! It doesn’t help that we’ve pretty much had something going on every weekend since the middle of January. Between cheer competitions, a Mardi Gras Ball, and my upcoming ACTS Retreat, I’ve been a little stretched thin. Despite how busy we’ve been, I have been having fun traveling with my kiddos. I know…I can’t believe I just said that! Really! Last weekend went so good with all 4 of them. We went to Moody Gardens in Galveston, Texas for my daughter’s last cheer competition. I’m happy to say, it was our favorite one. Why? We didn’t compete until Sunday, which meant we were able to spend all day Saturday enjoying ourselves. We went to the aquarium and the rain forest. Then the kids swam at the HUGE pool for hours. Yes, it was cold water, but somehow kids don’t seem to mind too bad. The weather was beautiful!!! If you live in Texas or Louisiana, you should totally take your family to Moody Gardens. It is such a great family friendly place. Not only do they have all the exhibits, IMax, etc., but the hotel has activities for kids all day long. Saturday night, they had a band, and the kids hula-hooped, played tug-o-war, and bounced in the bouncy house. Let me just say they slept WONDERFUL Saturday night!! There is also Schlitterbahn Waterpark next door to Moody Gardens. It is a perfect summer vacation spot! So this weekend I won’t be home…Again. But it is for such a good and exciting reason. I serve on Team for an ACTS retreat for my church. I’ll be away for 4 days. I know I will come back refreshed and renewed. I will tell you all about it next week. I promise I will get back to a normal posting schedule soon! 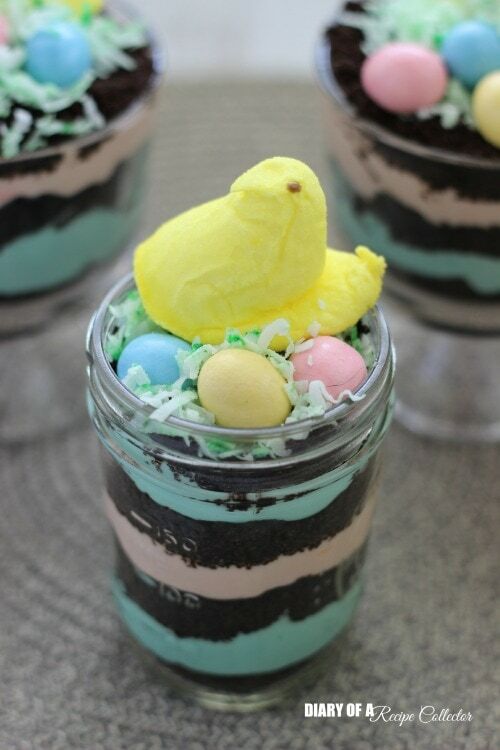 So now for these Easter Peeps Dirt Pudding Cups! Let me just say that they were devoured at my house like no dessert ever before. I mean I’ve made dirt pudding for them before, but I think the Peeps and the chocolate eggs sealed the deal! I have a feeling I’ll be making another batch of these before Easter. If you have little ones around, you must make this for them! Crush Oreos in a food processor. (This can also be done by putting them in a plastic storage bag and crushing them with a rolling pin or canned good). In a large bowl, whisk pudding mixes and milk for about 30 seconds. Set aside to thicken while you make the cream cheese mixture. In another large bowl, beat cream cheese and butter until smooth. Add and beat in powdered sugar. By this point, pudding should be thickened. Whisk it a little more to combine thoroughly. Whisk in cool whip into pudding. Pour pudding mixture into cream cheese mixture and mix until combined. Divide mixture in half. Using a few drops of food coloring for each, dye one blue and the other pink. Stir until color is completely mixed in, adding more dye if necessary.. Begin layering in small jars or mini trifle dishes: 1-2 tbsp crushed Oreos, 2 tbsp blue pudding, 1-2 tbsp Oreos, 2 tbsp pink pudding, 1-2 tbsp crushed Oreos, 1 tbsp blue pudding, 1 tbsp crushed Oreos. Place coconut in a small plastic storage bag. Place a few drops of green food coloring into the coconut. Seal bag while letting air out. Begin moving and mixing coconut around in bag to dye the coconut green. Place coconut onto top layer of Oreos. Place a few candy eggs onto coconut. Finish off with a Peep Easter Chick. This can also be made using a large trifle dish or a small punch bowl. Start and end with crushed oreos as you layer. You will end up with 4 layers of pudding mixture and five layers of oreos. Cutest little Easter dessert ever! My kids would go crazy for it. Eek!! I loved dirt pudding cups growing up! This is seriously so cute, I can’t wait to make this with my son! Thanks Krista! Between the Peeps, the candy eggs, and the pudding, my kids went crazy over them! Yes she definitely would! My kiddos devoured them! Thanks Ashley! Sounds like a fun weekend! These dirt cups are really cute! Hi Fawanda! We stayed at the Moody Gardens Hotel. It’s great for kids! Jaren, my kiddos would LOVE these pudding cups. Who wouldn’t! They’re so pretty for Easter! I made about 8 cups on Tuesday. They are already GONE!!! 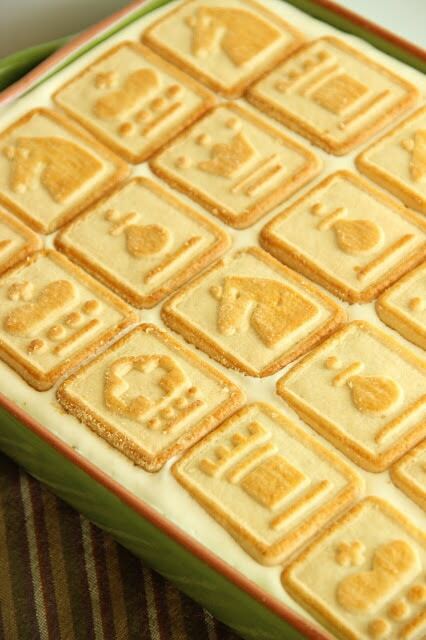 They’ve never eaten a dessert like that before! Thanks Sara! Moody Gardens sounds awesome! We’re moving to Texas next month but we’ll be 4 or so hours from Galveston. Booo! 🙁 These pudding cups are so fun! My kids would love them! That’s awesome you guys are moving to Texas!! There is just so much to do there! Thanks Amanda! Jaren these are adorable!! Also I have no idea how you manage to travel with all your little children. As the oldest of 5 I have often wondered the same thing about my own mom. You possess some kind of awesome mama voodoo! Maybe it has to do with the Easter Peeps Cups. Hmmmm. That sounds like a wonderful time with the family!!! 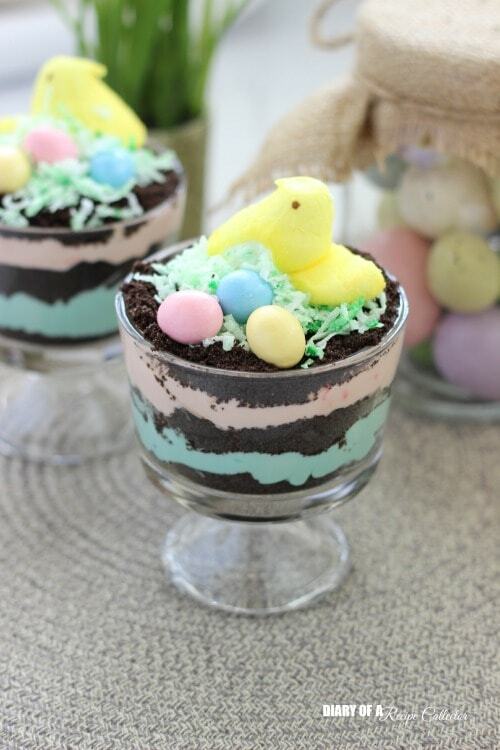 I love dirt cups and this Easter twist is to cute! Do these need to be refrigerated after they are made? Making these for this weekend and haven’t had them since I was a kid. Hi Tiffany! Yes, this is definitely a dessert that needs to be kept refrigerated. I also like to let them chill for an hour or two before serving as well. Thanks for visiting! How soon should you make it? I need it for dinner tomorrow. Is it okay to make it tonight and put it in the fridge? Hi Kathryn! Yes, you can make it tonight! That’s what I’m doing too! Enjoy and Happy Easter! My milk and pudding mixture doesn’t seem to be thickening up. What should the consistency be like and how long should I wait for it to thicken? It’s been about 20 min so far. Thanks in advance! Hi Kathie! I’m not sure why that happened. This should be thick since it is a less milk to pudding mix ratio than normal. And it should have done so in about 5 minutes or less. If this ever happens again, I recommend whisking it until thickened. Does the cream filling need to be removed from the oreo? These are super cute. Thanks for sharing! Hi Alyscia! No need to remove the cream. This is what makes it so good too!! I know this was a few years ago, but everything lives on on Pinterest. 🙂 I was wondering what size cups/jars you used for this. I plan on making this for 12 people and need to determine what size cups to get. They are adorable! TY! I have made them in the tiny mason jars and the 8 oz mason jars. You can also make them in clear plastic 8 oz cups too! But the easiest by far is a large regular trifle dish. Since you are serving 12, I would go with the plastic or the large trifle dish to make things easier. 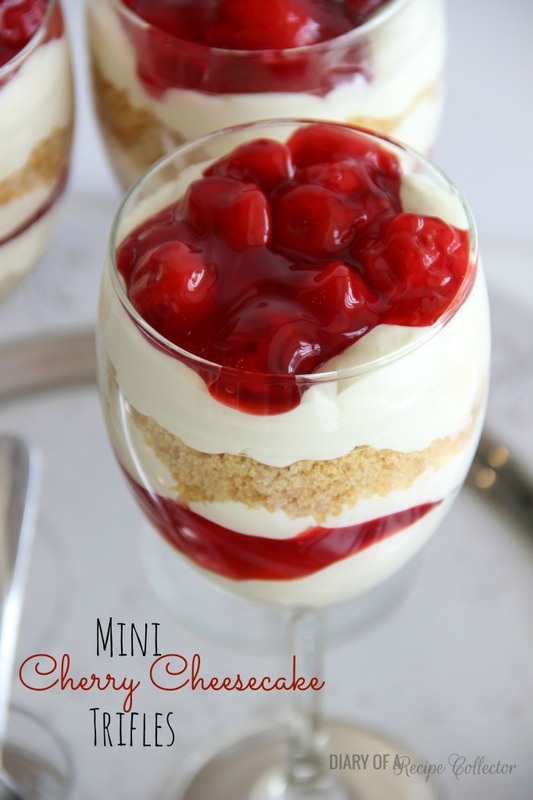 I love this and want to make in trifle dish. I Are the ingredients amounts the same for the trifle or do you double it ? Same amount! That’s what we normally do too!